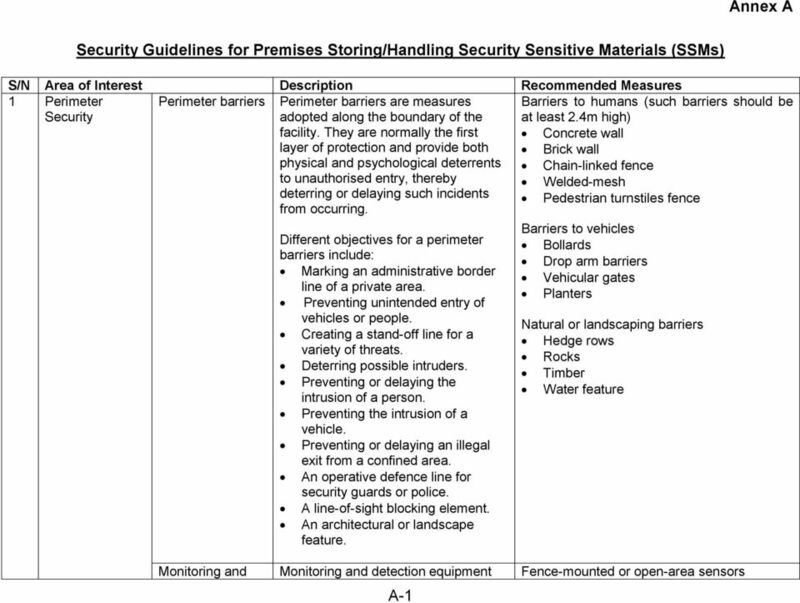 Download "Security Guidelines for Premises Storing/Handling Security Sensitive Materials (SSMs) A-1"
3 some circumstances, lighting may not be required, but these circumstances must be addressed in the building s security plan. Lighting however, also needs to be matched to the operating environment and this should be taken into consideration during planning. 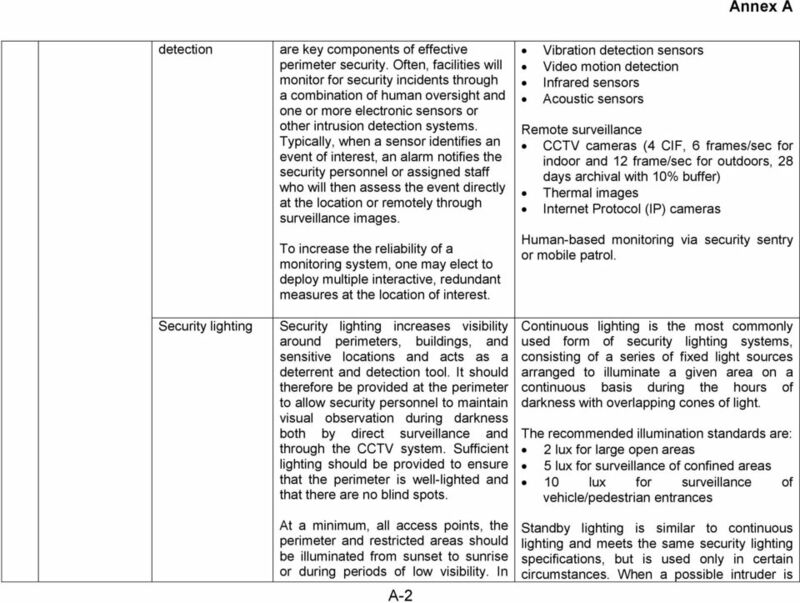 detected, the security system or guard force can activate the standby lighting system for extra illumination. It can also be deployed at unattended/attended gates for extra lighting. Standby lighting differs from the continuous lighting in that only security personnel or the security system software have control over the system. Access control Wherever a perimeter line is planned, points of access for vehicles and pedestrians are required at various points along the line. These points are usually regarded as the weak links of the perimeter as they require a breach in the protective line every time they are opened. Access points control the A-3 This lighting system consists of manually operated movable light sources such as searchlights, which can be activated during the hours of darkness to cover specific areas as needed. Moveable lights are normally used to supplement continuous or standby systems. 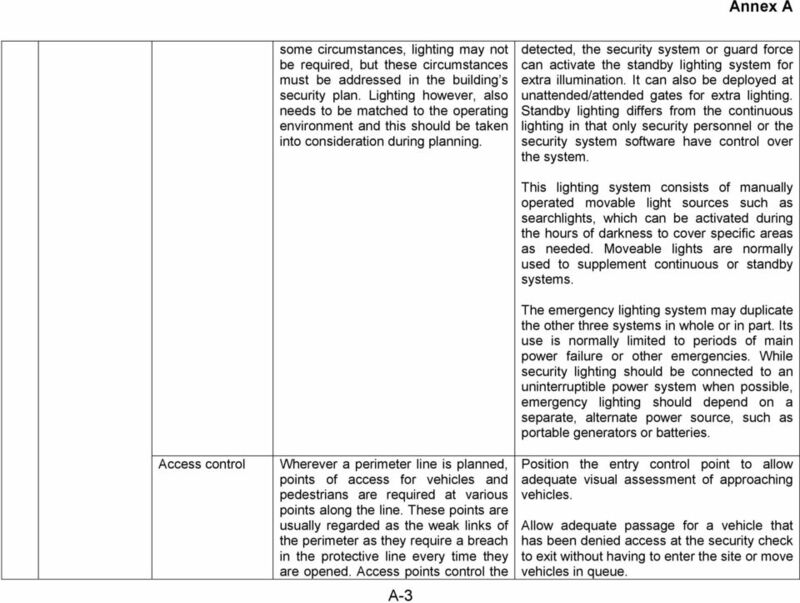 The emergency lighting system may duplicate the other three systems in whole or in part. Its use is normally limited to periods of main power failure or other emergencies. While security lighting should be connected to an uninterruptible power system when possible, emergency lighting should depend on a separate, alternate power source, such as portable generators or batteries. Position the entry control point to allow adequate visual assessment of approaching vehicles. 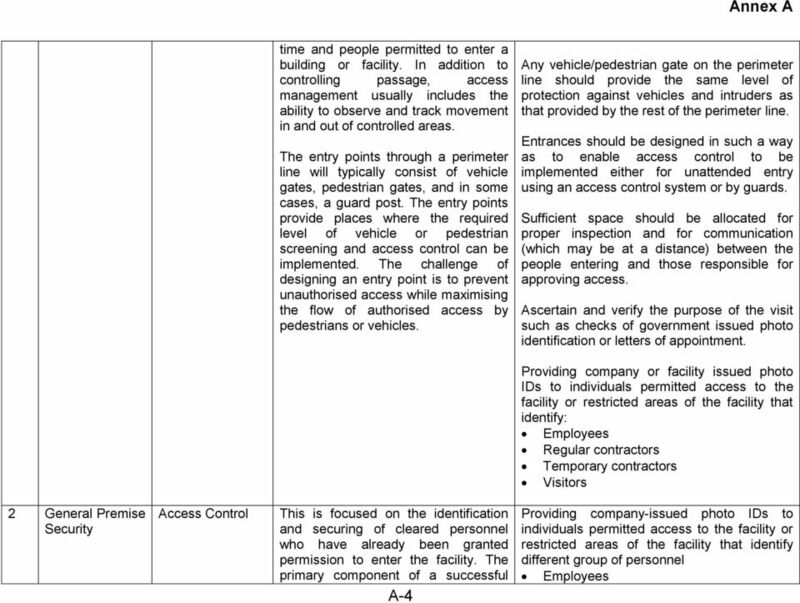 Allow adequate passage for a vehicle that has been denied access at the security check to exit without having to enter the site or move vehicles in queue. 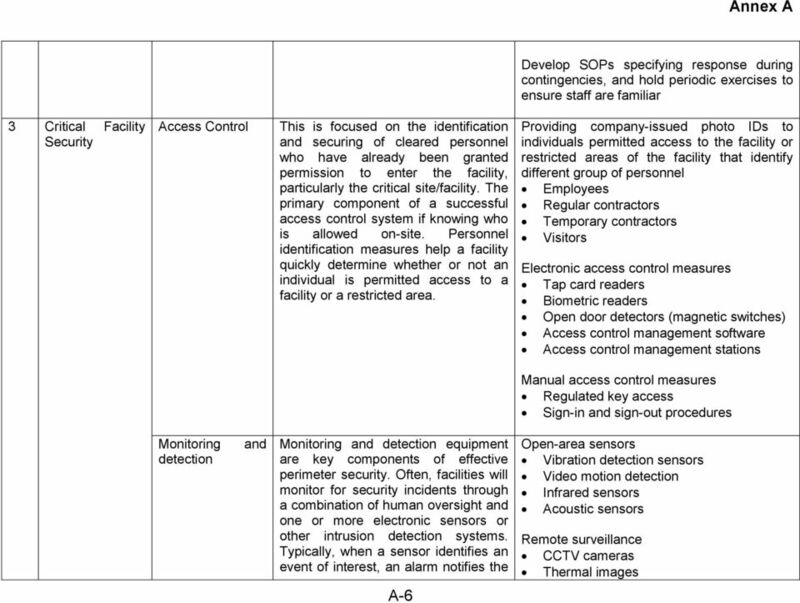 5 access control system if knowing who is allowed on-site. Personnel identification measures help a facility quickly determine whether or not an individual is permitted access to a facility or a restricted area. Regular contractors Temporary contractors Visitors An individual should not be allowed access an area other than those permitted. As far as possible, visitors and temporary contractors should be escorted when moving within the facility. Monitoring detection and Monitoring and detection equipment are key components of effective perimeter security. 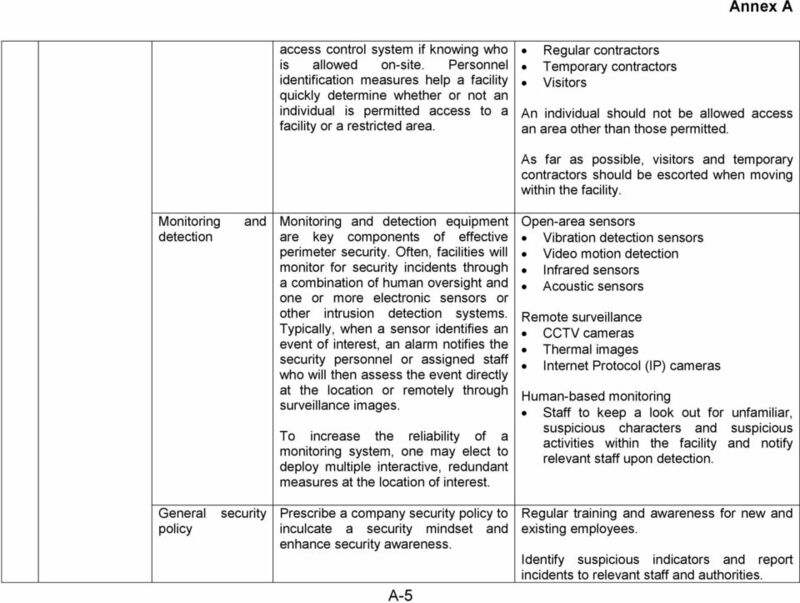 Often, facilities will monitor for security incidents through a combination of human oversight and one or more electronic sensors or other intrusion detection systems. Typically, when a sensor identifies an event of interest, an alarm notifies the security personnel or assigned staff who will then assess the event directly at the location or remotely through surveillance images. 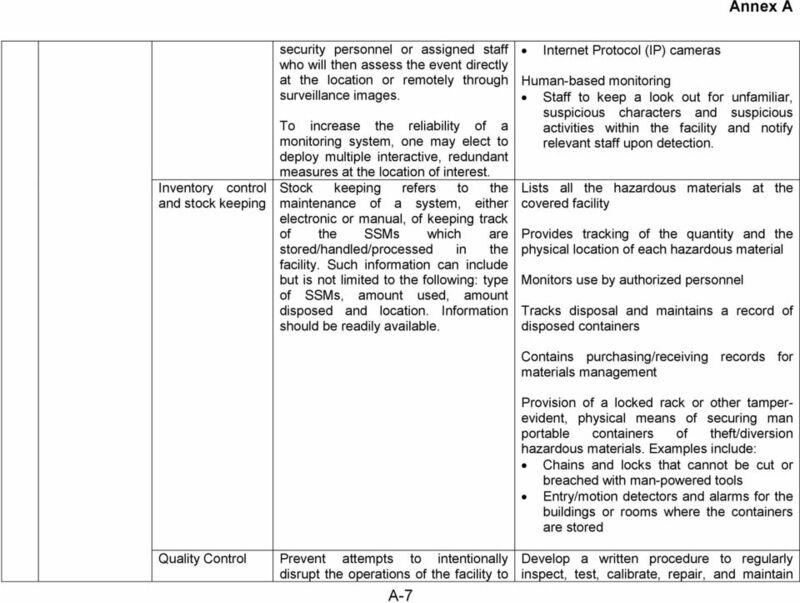 To increase the reliability of a monitoring system, one may elect to deploy multiple interactive, redundant measures at the location of interest. Open-area sensors Vibration detection sensors Video motion detection Infrared sensors Acoustic sensors Remote surveillance CCTV cameras Thermal images Internet Protocol (IP) cameras Human-based monitoring Staff to keep a look out for unfamiliar, suspicious characters and suspicious activities within the facility and notify relevant staff upon detection. General policy security Prescribe a company security policy to inculcate a security mindset and enhance security awareness. A-5 Regular training and awareness for new and existing employees. 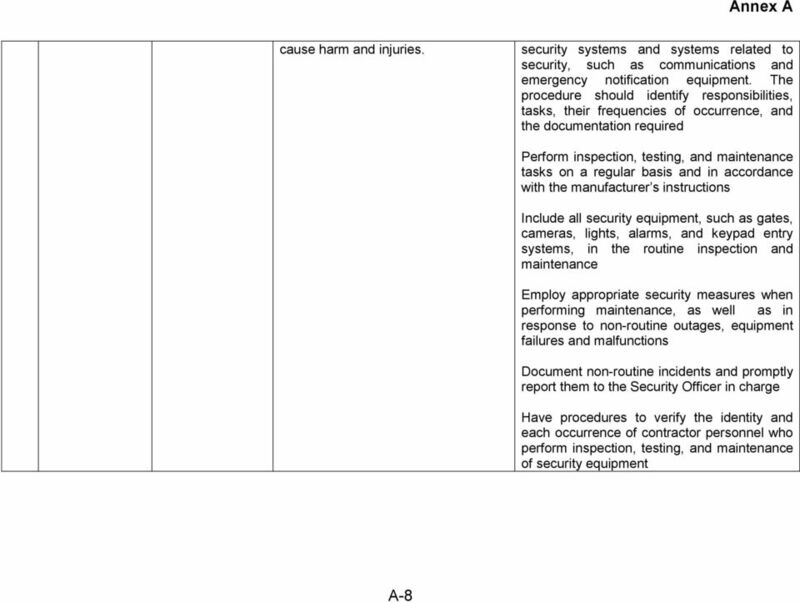 Identify suspicious indicators and report incidents to relevant staff and authorities. A guide to access control for offices What is access control? Access control provides the ability to control, monitor and restrict the movement of people, assets or vehicles, in, out and round a building. Understanding Alarm Systems A false alarm occurs when an alarm signal designed to elicit an immediate emergency Law Enforcement, Fire, or Medical response is activated, when in fact no emergency exists.